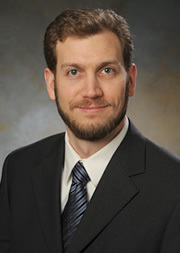 Professor Lovett joined the Simon Business School in the Fall of 2008. Prior to joining, he earned a BA from Ohio Wesleyan University, an MBA from Boise State University, and a PhD from Duke University, where he was the Sheth Doctoral Consortium Fellow. Professor Lovett has taught Marketing Research, Marketing Strategy, Advertising Strategy, Consumer Behavior, and PhD Seminars in Quantitative Marketing. Professor Lovett's research interests include quantitative marketing, retail strategy, targeted advertising, advertising content and schedule choices, online and offline word-of-mouth, branding, social media listening, and consumer learning. One stream of Professor Lovett's research focuses on applying and developing empirical methods for political marketing. Current projects in this stream study the dynamics behind why candidates go negative in their political advertising, how candidates can improve their targeting of political ads, and the role of advertising versus social media in influencing voter sentiment. A second stream of research examines entertainment products and how consumers learn about them as they decide whether to continue engaging. Another current stream of research examines how advertising and brand characteristics influence word-of-mouth online and offline and how these two channels differ. Professor Lovett's research has been published in Marketing Science and the Journal of Marketing Research, received research grants and awards, including the from Marketing Science Institute Institute for the Study of Business Markets’ Research Grant Silver Medalist Award, and garnered national media attention in relevant publications such as Ad Age and Marketing News.